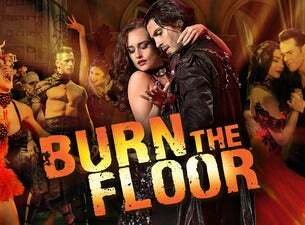 In the past two decades BURN THE FLOOR has revolutionised Ballroom style. Combining jaw-dropping choreography and ground-breaking moves, BURN THE FLOOR XX2018 brings their famous, infectious and rebellious energy to the stage every single night. This electrifying production, lights, costumes and eclectic live music will have you leaping out of the seat to join in. Not just a "feel-good" performance, we are seriously a "feel-fantastic" show! Don't miss your chance to experience the pure dance joy of BURN THE FLOOR XX2018!